Manufacturer of a wide range of products which include mailing paper bags, mailing bags, courier mailing bags and poly postal mailing bags. Bags and Pouches Singapore is among the leading manufacturers and suppliers of many types of mailing bags. These bags are useful for courier, Parcel and Freight companies for the secure movement of their client’s documents and consignments. We manufacture our courier bags by using superior grade & high-quality materials. We always adopt advance technology and equipment for providing more durability. These bags are available in several sizes. Our mailing bags are clear and opaque in appearance. By using our high-quality mailing bags, one can very easily identify the contents of the bags. We offer our courier bags in exceptional & various shapes, sizes, grades, colors and finishes as per the customers’ design and requirements. We offer paper as well as plastic mailing envelopes. Which above information helps for specific promotional campaigns are possible for your brand. These bags are produced by utilizing the latest rotogravure printing. Our range finds usage in various industrial applications. 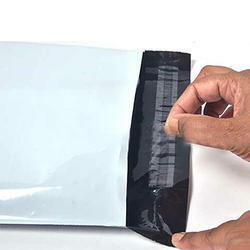 These Courier Bags are leakage proof, resistant to temperature along with high retain value. 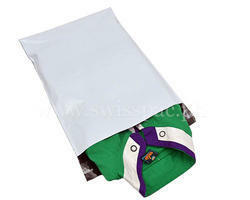 We provide re-sealable Courier bags for providing more convenience. Our Courier Bags are customizable as per client’s requirements. These bags are widely used for courier purposed and protect the contents efficiently. We are active and involved in providing the finest quality packaging Courier Bags. These bags are available at some reasonable prices. Our Courier Bags are one of the qualitative durable, flexible and cost-effective packaging solutions. If you are looking for qualitative Courier Bags, then you should contact us so that we can understand your requirements and can assist you in the best possible way. 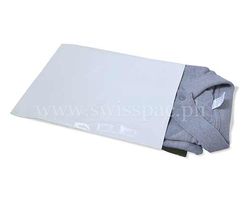 Swisspac Philippines manufactures the plastic mailing packaging bags. This types of packaging are well suited for e-commerce business and post services like shipping partners, express transportation, online buying and selling partners. This cover protects your product when it is sent by post or land or air freight. Available in different sizes and weights. Manufacture of these LDPE and water resistant polycarbonate envelopes. Therefore your product will be 100% safe. In addition, it is also possible to print the envelope. For this, a printing technique is used that enables us to print your product in up to 9 colors. If you are interested in this option, please contact us. We have designed an appealing range of Mailing Bags. These bags are highly demanded in courier, banks and e-commerce companies and parcel/freight companies for the secure movement of their client’s documents and consignments. This exclusive collection of bags is high in demand due to its attractive designs, colors and patterns. Our offered bags are designed and developed at our well-established manufacturing unit using quality approved raw material, in accordance with the set parameters of the industry. Clients can avail these bags in large quantity at rock bottom price from us. We are offering Courier Mailing Bags to our clients.